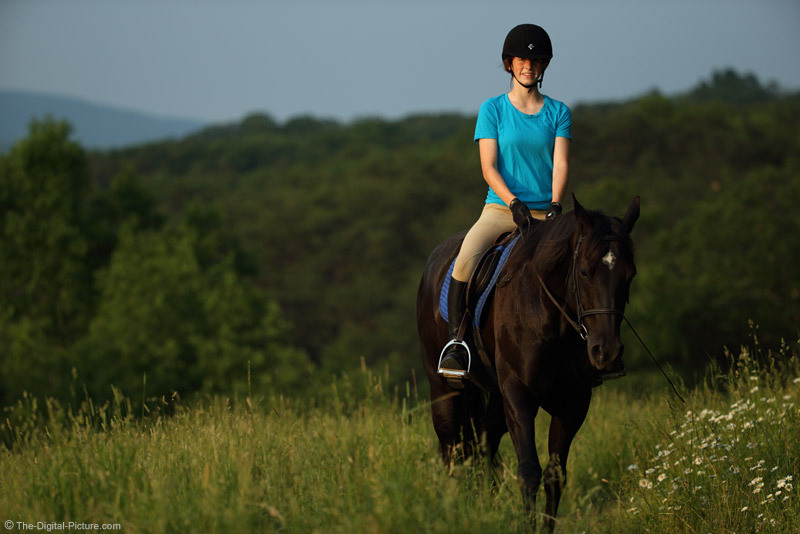 A young girl rides her black quarter horse through a mountaintop field. By shooting from a low position, I kept the rider's head above the skyline and any distractions that would otherwise be present. I did not need a 1/1600 shutter speed for this shot (and could have dropped the ISO setting accordingly). But, this was a short rest between the galloping runs I was setup for. The 1D X delivers clean high ISO images, so the quality loss was minimal.